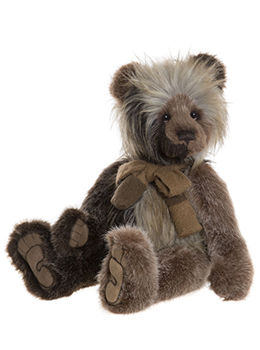 Charlie Bears Bryce Discounts Apply ! Designed by Isabelle Lee for Charlie Bears 2019 Folklores and Fables Collection. I am Made from Dense soft Feel Mid Brown and Dark Brown and Cream Fur, I am sort of a Half Bear as dark on one side Light On the Other. I have super Hand Stitched Brown Nose and knotted Brown Patterned Scarf with Tickly Toes.